If you’re like me and had no clue that he was coming to town, then join the club. 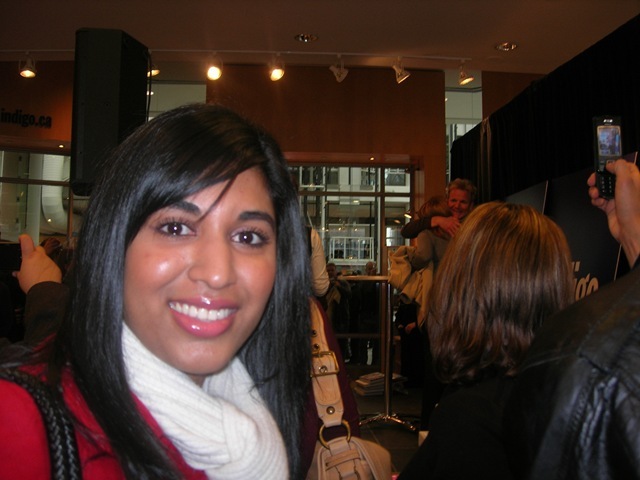 Food aristocrat Gordon Ramsay graced us with his presence at the Chapters-Indigo location at the Eaton Centre. He was here to promote his new book “Gordon Ramsay’s Healthy Appetite- Recipes from the F-Word” and the new season of, you guessed it, “The F-word”. 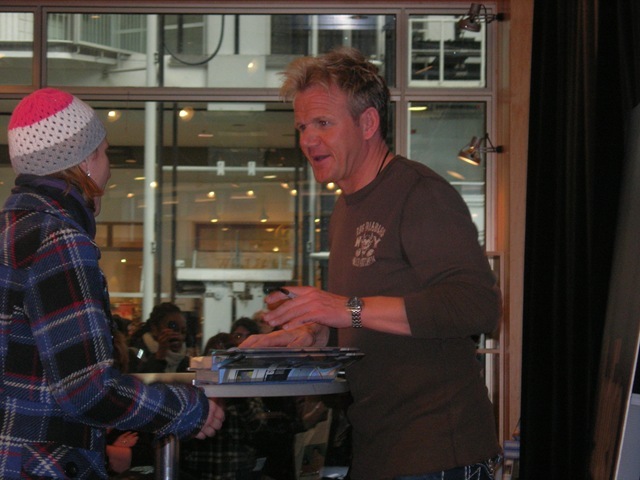 Chef was scheduled to be in the vicinity at 12:30 pm to sign copies of his new book. I thought I was making excellent time when I rolled in at 11:18 am. It took me a couple of minutes to pick my jaw up off the floor when I realized how long the line was. 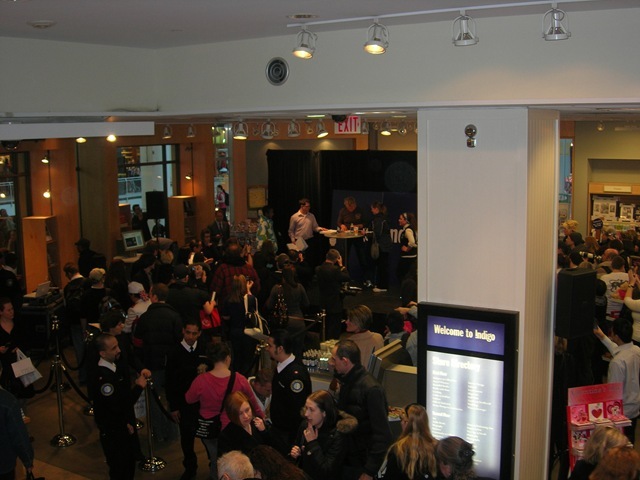 The line was so bloody long, that a secondary line was created upstairs. To my dismay, I was in the secondary line. I didn’t realize that there was such a fan following for Chef in this neck of the woods. Let me tell you, I am not a new found Gordon Ramsay fan. My affinity for him has neither stemmed from a few episodes from his popular series Hell’s Kitchen or Kitchen Nightmares like most people have come to know him. Oh no, it goes back about 10years, when I was a young’n watching British cooking shows on TVO. I am the girl who grew up with Delia Smith, Gary Rhodes, and Jamie Oliver (when he was still the naked chef). Gordon Ramsay was another, who had an undeniable talent for being himself on screen (a tough task for many) and producing dishes that were as exquisite to the eyes as they were to the tongue. I knew what I was going to say to him when I met him. “Marinated Tuna Salad, Gressingham Duck with Chicory Tarts, and Passion Fruit Souffle. Chef Ramsay, that menu has never parted with me.” This reference was to a show that he once appeared on, namely Friends for Dinner. He appeared twice on the series, surprising unsuspecting viewers with the task of preparing a 3 course meal from one of his books for their friends. A small tutorial would ensue, and then the viewer was left to their own devices with his cell phone number as their only lifeline. He is gracious, inspirational, and at the pinnacle of excellence in food.I think you can now grasp my appreciation for Chef. did u end up buying his book?? Bought the book. Intended on keeping it until I realized that I couldn’t get it signed (they ran out of time at the signing). So, at the end of the say I returned it. Very simple, straight forward, and targeted for people who want to make quick meals on the go.